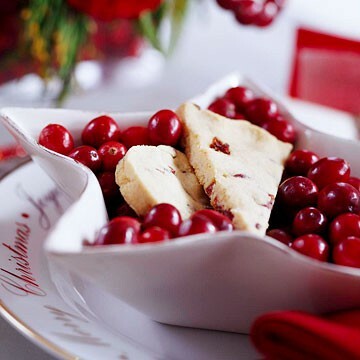 A holiday classic, shortbread cookies, with the added zing of cranberries... Sounds good to me! I always like to have shortbread cookies around this time of year. The pop of bright red, in these cookies, looks so festive!